OUAT – Are the 7 Dwarve’s Steins in Mr. Gold’s shop? Updated! 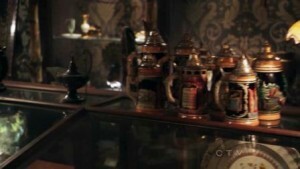 See the on the upper shelf on the left side of the picture. 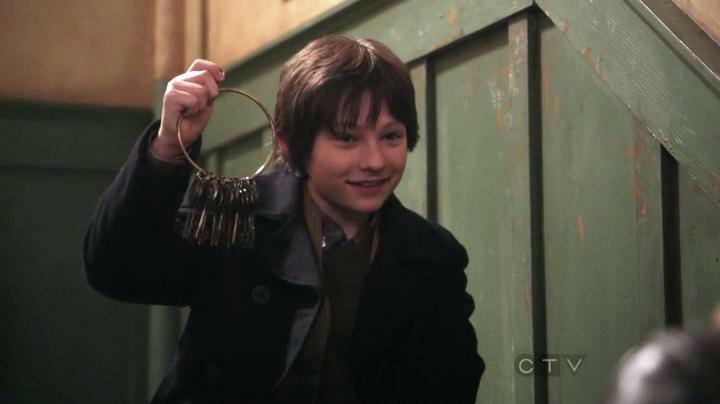 I wonder if the dwarves made a deal with Rumpelstiltskin? We’ll have to wait and see. 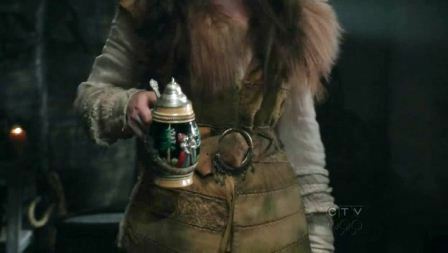 This entry was posted in Once Upon a Time Blog and tagged 7 dwarves, heart of darkness, once upon a time, snow white, stein, the shepherd on April 3, 2012 by Admin of Storybrooke ;). August found Henry at Granny’s upset over Mary being suspected of Kathryn’s disappearance and possible murder. This is the conversation they had. August: I know it’s A book of stories. August: Story’s that really happen. A: “Let’s just say that, I’m a believer. And I want to help others see the light, that my friend is why I’m here. This made Henry realize that the only way he could get Emma to believe a little bit more was to find proof. 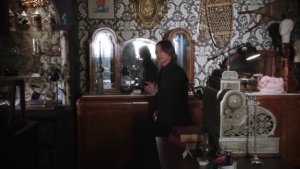 This where, he found the skeleton key ring he stole from Regina. 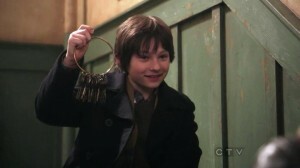 Henry also tricked Emma into using the key that opened Mary’s apartment door. He made her believe, like August said she needed proof to believe. This is also something else that was being said by Emma to Mary. She needed proof in order to believe that Mary did not kill Kathryn despite the proof was the heart that was in Mary’s jewelry box. 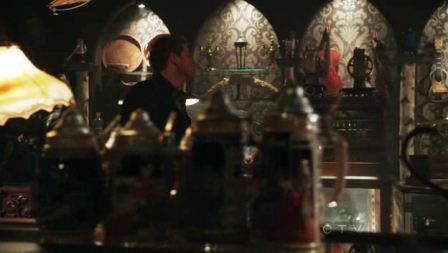 Emma needs proof in order for her to believe, all Henry has to do, Is keep on showing her instead of telling her, eventually she will believe on her own. 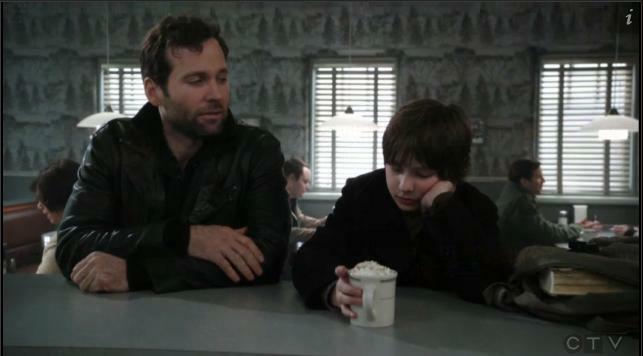 How do you think Henry or August could make Emma believe that everything in his storybook is true? Share with us your thoughts in the comments below. This entry was posted in Once Upon a Time Blog and tagged august w booth, Believing, curse, eion bailey, Emma Swan, Fairytale, Faith, Ginnifer Goodwin, heart of darkness, henry, jared gilmore, Jennifer Morrison, Mary Margaret Blanchard, once upon a time, Prince Charming, princess, Proof, Story Book, storybrooke, storybrooke maine, the savior on March 23, 2012 by deputies. 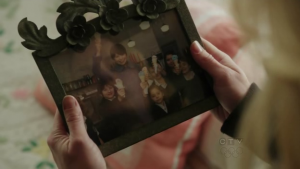 This entry was posted in Once Upon a Time Blog and tagged emma, heart of darkness, henry, once uppon a time on March 19, 2012 by Admin of Storybrooke ;). 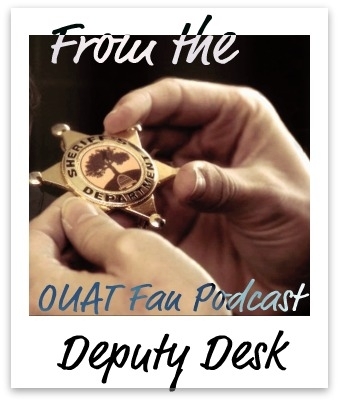 Welcome to the a Special Episode (009) of the Once Upon a Time Fan Podcast First Thoughts about “Heart of Darkness”. This is a podcast dedicated to the hit ABC TV show, Once Upon a Time. Note: I watched the episode again, and Colleen was correct, Prince Charming quickly deflected the flaming arrow from hitting Red with his sword. The podcast is hosted by Jeff and Colleen Roney, a married couple from Orange County, CA. The goal of the episode is for us to give our first thoughts, warts and all, so here it is. This entry was posted in First Thoughts episodes only, Once Upon A Time Fan Podcast Full RSS, Once Upon a Time Podcast, Season 1 and 2 OUAT Fan Podcast and tagged 7 dwarves, heart of darkness, once upon a time, snow white on March 18, 2012 by Admin of Storybrooke ;).